Exclusively Ours! Hypoallergenic! Lead, Nickel & Cadmium Free!! 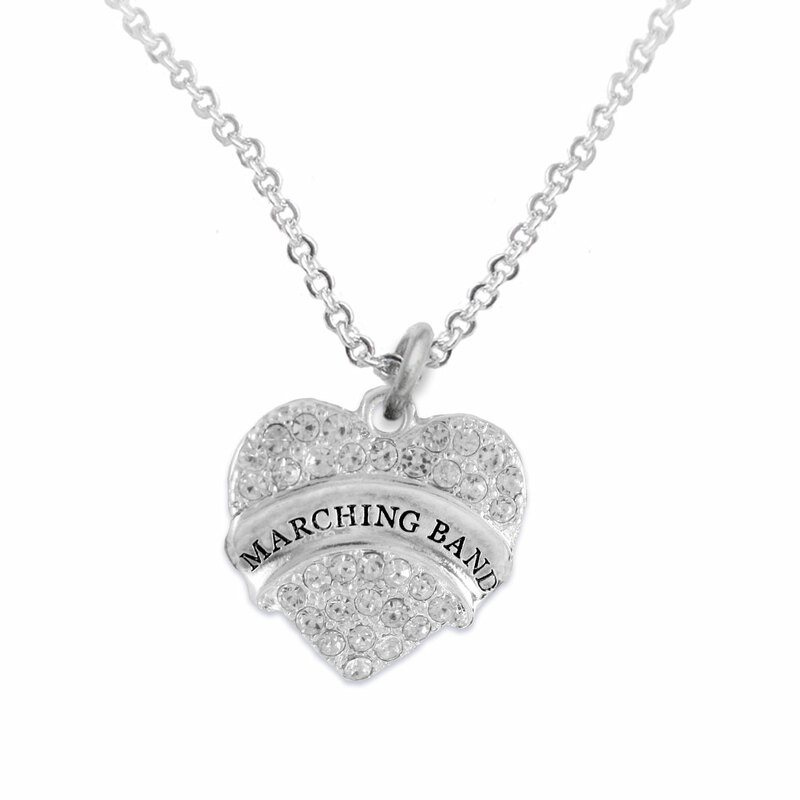 Detailed Silver Tone And Genuine Austrian Clear Crystal "MARCHING BAND" Heart Charm. Comes On An Intricately Detailed Silver Tone Chain Link Necklace, With A Lobster Clasp. 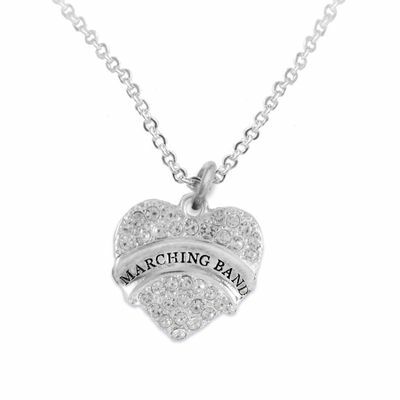 "A Great Gift For Your Marching Band."